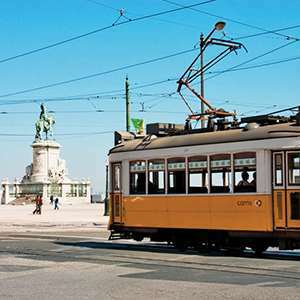 Your 6-night vacation package to Portugal combines your stay in the coastal capital city of Lisbon with a visit to the historic port city of Oporto. Your knowledgeable Local Host® is available as much or as little as you wish to help you enjoy the best that each city has to offer. Your Local Host can suggest traditional to modern sights, as well as local establishments you’ll want to discover. Bem vindo—welcome to Lisbon! Your Local Host is on hand to help you create lasting memories in a city that effortlessly blends traditional heritage with striking modernism. Morning guided sightseeing features the Baixa city center, and a walk through the cobblestone alleys of ALFAMA, the ancient Moorish quarter. Drive to the Belém district, known for its seafaring past, nd visit JERONIMOS MONASTERY, a UNESCO World Heritage Site. 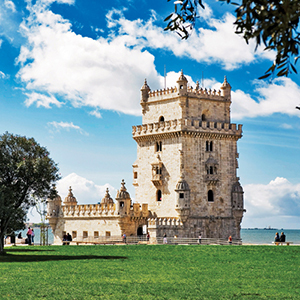 See Belém Tower and the Monument of the Discoveries from one of the best panoramic viewpoints, and pass by Edward VII Park located ear Pombal Square. Your Local Host will have many options for your day at leisure, such as a visit to the Madre de Deus Convent, now home to the National Azulejo (Glazed Tile) Museum; and where to shop for traditional souvenirs, like cork products and hand-painted tiles. Your Local Host will have suggestions for your two full days at leisure. You may be interested in visiting the Soares Dos Reis Museum with sculptures by its celebrated namesake or browsing through the 19th-century, wrought-iron, colorful Bolhão market. A fantastic location in the heart of this vibrant city with sightseeing, shops, cafés and Tapas bars all within walking distance. Bright modern air-conditioned rooms include a pillow menu, slippers, Nespresso coffee machine & tea making facilities. From the Old Town to the beaches, pedal your way past some of Oporto's most exceptional monuments and natural beauty on this fun guided bike tour. If you're a football (soccer) fan, you won't want to miss this unforgettable, behind-the-scenes tour of Dragão Stadium, home of the Primeira Liga Football Club and the FC Oporto Museum! Get a rare bird's-eye view of Oporto on this incredible helicopter flightseeing tour over the city. Get a proper introduction to Oporto's rich heritage on this incredible guided excursion featuring a walking tour, Port wine tasting, and classic cruise up the Douro River! Discover the Venice of Portugal on this magical half-day guided tour of Aveiro featuring oyster tasting, a tuk-tuk ride, and a moliceiro cruise along the dazzling canals. 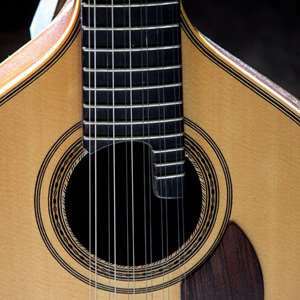 Treat yourself to an unforgettable evening featuring live Fado music, a Port wine tasting, and a delectable terrace dinner along the Douro River. Come face to face with the underwater kingdom's most fascinating creatures at Sea Life Porto, one of Oporto's top attractions! Climb the arch of the Arrábida Bridge to experience Oporto from a completely different perspective! Get to know the acclaimed Douro Valley wine region on this full-day excursion featuring vineyards, a gourmet lunch at a country estate, and tastings of the region's delectable wines! 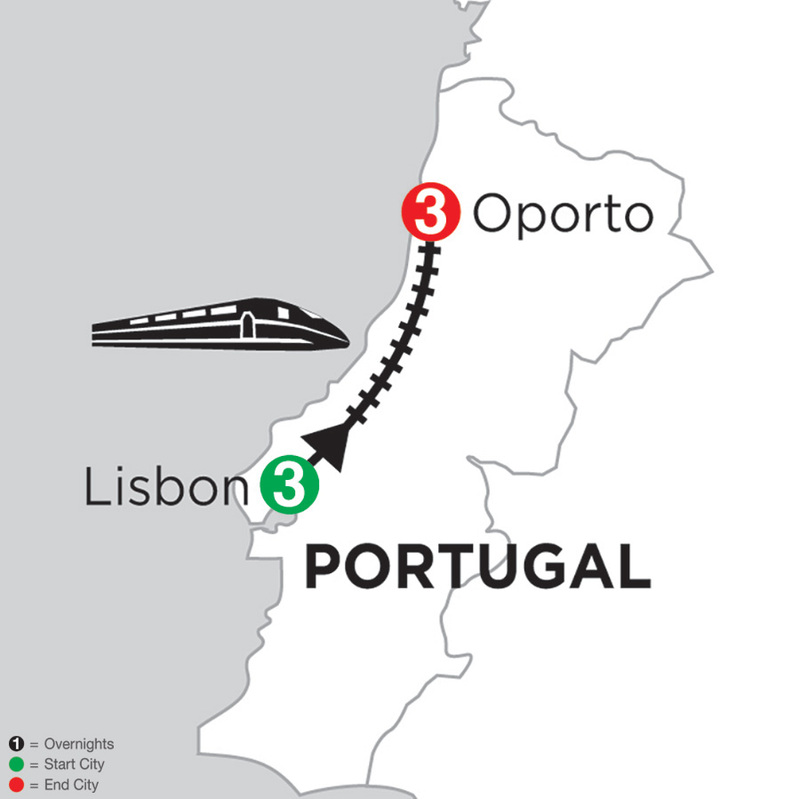 This full-day journey into the Douro River Valley has it all-a scenic train ride, food and wine tastings, a traditional Portuguese lunch, and visits to a wine farm, cellar, and a bakery where they create the area's legendary bread! Monograms provides travelers access to a Local Host®, so you will have someone on hand to answer those vacation questions pertaining to Oporto. No waiting in line at the concierge desk or trying to ask your waitress at breakfast directions to the shopping district. Simply ask your Local Host® about Oporto and you'll be on your way in no time. Plus, your Local Host® will share local Oporto insights and share suggestions for getting off the beaten path, leaving you more time to create lasting vacation memories that are yours alone. Greetings fellow travelers! My name is Manuel and I’ll be your Local Host in Oporto. Born and raised in the beautiful Granite City, I’m looking forward to sharing its secrets with you. I graduated in History and Tourism and have a penchant for theatre, fencing and gastronomy. Porto is home to a number of dishes from traditional Portuguese cuisine. A typical dish from this city is Tripas à Moda do Porto (Tripes Porto style). Bacalhau à Gomes de Sá (Codfish) is another typical dish born in Porto and popular in Portugal. The Francesinha – literally Frenchy, or more accurately little French (female) – is the most famous popular native snack food in Porto. It is a kind of sandwich with several meats covered with cheese and a special sauce made with beer and other ingredients. Two buildings that are as much a work of art as the collections they exhibit inside, surrounded by a magnificent park. The influential Serralves Foundation runs Porto's highly respected Contemporary Art Museum. Designed by minimalist wizard Álvaro Siza Vieira, the chalk-white building is itself a cultural draw. It offers different perspectives on contemporary art in various media. Also set within the grounds is the pink Art Deco Casa de Serralves where other exhibitions are held. 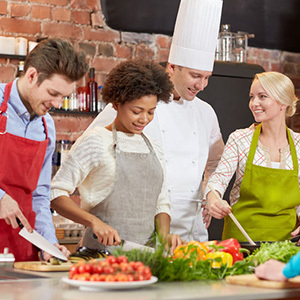 Discussions, arguments, and points of view can be exchanged in the on-site café or the more formal restaurant. The park is quite beautiful, a landscaped Eden of tremendous biodiversity. A series of footpaths snake through the 18 hectares, winding past spruce lawns, ornamented lakes, and aromatic herb gardens before circulating through a shady, wooded copse. An architectural masterwork by world-renowned architect Rem Koolhaas. The 'Music House' is celebrated as much for its radical design as the calibre of the entertainment it hosts. Dutch architect Rem Koolhaas kicked convention into touch when he was commissioned to create a building that would propel the city headlong into the 21st century. Walk up to the top-floor restaurant. On the menu of Mediterranean influenced cuisine is an inspiring panorama across Porto's busy Boavista neighborhood. But for an unhurried, up-close-and-personal view, join a guided tour. Otherwise, amble over here at dusk when the venue is washed with floodlight for a truly abstract perspective of this extraordinary structure. Atmospheric, colorful, World Heritage riverfront medieval district. Porto's riverside quarter is an alluring labyrinth of narrow, winding streets; zigzagging alleyways; and low-slung, sun-starved arcades. Facing the River Douro, though, are terraces of lofty townhouses painted in bright mustard, tangerine, and tawny hues - the Ribeira is an adventure in color and flavor. Praça da Ribeira, the riverfront square, is a popular and lively meeting point and buzzes with a young, friendly vibe. The Ribeira is also about history, and exploring this fascinating neighborhood is to discover medieval relics built over Roman foundations. The views from Cais de Gaia are perhaps the longest-lasting images of Oporto for visitors. It's impossible not to stand in awe at the city's stunning skyline, whose impact is further enhanced by the picturesque boats that stand in front, and the soaring double-decker Dom Luis Bridge. Breathe in the atmosphere from the several cafes and restaurants at the riverfront and visit the terracotta-topped Port Wine warehouses that stand behind them. A notable national art museum named after one of the country's top artists. If you decide to visit just one museum in Porto, make sure it's this one. The outstanding collection of Portuguese art spans from the 16th to the 20th centuries and includes sculpture by António Soares dos Reis, the country's celebrated 19th-century sculptor after whom the museum is named. Go inside the "Lello & Irmão" bookshop, Livraria Lello a historic space with a Neo-Gothic interior featuring a grand staircase and stained glass. PRICE €4; HOURS 10am-7.30pm Mon-Fri, 10am-7pm Sat & Sun LOCATION Rua das Carmelitas 144 Ostensibly a bookshop, but even if you’re not after books, don’t miss this exquisite 1906 neo-Gothic confection, with its lavishly carved plaster resembling wood and stained-glass skylight. Admire the gigantic tile panels inside São Bento Station and on the façades of Carmo and Capela das Almas churches. RELAX AT THE CRYSTAL PALACE GARDENS. This beautifully landscaped park is dominated by a huge domed pavilion built in 1956 which replaced the 19th century iron-and-glass "Crystal Palace." Today's pavilion serves as a venue for concerts and sporting events. 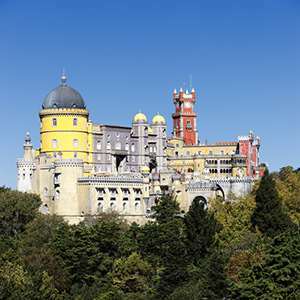 It is surrounded by a lake, flowerbeds, and roaming peacocks, all overlooking the Douro River, of which there are superb views. There is also a multimedia library, an auditorium, a cafeteria, and the Romantic Museum. Across the street from the park entrance is the gateway to the city's art galleries district.